When the group of delinquents asked to speak with someone in the Embassy for a number of minutes and deliver a petition, they were told that everyone had left for the day – at 3pm – and that no one was available inside to hear them. “You should make an appointment,” another security guard told the group, yet the hoodlums argued that requests for appointments via phone and email the week prior were rejected. And strangely, even though everyone had left work at the embassy for the day, many BMWs and all kinds of fancy convertibles were seen leaving the embassy gates in the hours that followed. Since everyone from the embassy had already left, these BMW-driving folk must have just constituted the apparently well-paid janitorial staff. “I see,” Appleby decided uncertainly. As this well-paid “janitorial” staff exited the embassy, the hoodlums and louts aggressively waved at their windows until, through their menacing gaze, the embassy staff was forced to engage. And what did these socialists demand? 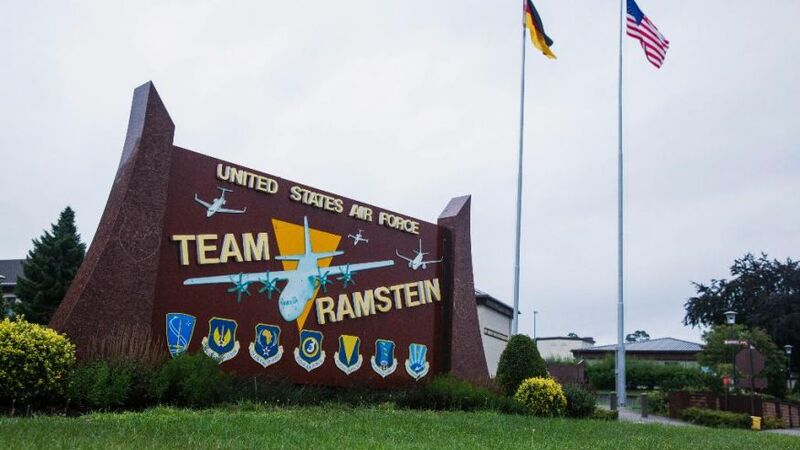 That the German government take some accountability for U.S. drone strikes being carried out via the Ramstein air base. In an aggressive move, one of the demonstrators repeatedly forced a list of children killed by U.S. drone strikes into the embassy “janitorial” staff’s view. Mysteriously, someone from the embassy who the security guard must have missed when she said everyone had already left for the day, greeted the protesters to take their petition. Deputy Spokesman for the embassy, Stefan Messerer, arrived on scene. Commie Male #1: “Hi sir, we’re here to deliver a letter and petition to the German Embassy with signatures from over 1,300 people and organizations asking that the German Government acknowledge its complicity in U.S. war crimes and to acknowledge that the Ramstein satellite relay station plays an essential role in all U.S. drone strikes in the Middle East, Africa, and Southwest Asia. This military base is under the legal jurisdiction of the German Government and the drone strikes routed through the base are in violation of German law and international law. We are asking that the German Government move to close the base. The group of thugs then left their signs, detailing atrocities caused by U.S. drone strikes, in the fence of the embassy, sure to ruin the day of anyone who has to pick them up and throw them away, or worse, read about the deaths of these foreigners. Unfortunate, certainly, but not the concern of any dignitaries at the German Embassy. Tomorrow, May 27th, a German court in Cologne will hear evidence from Faisal bin Ali Jaber, an environmental engineer from Yemen who lost two relatives to a 2012 U.S. drone strike. This is the first time that a court in a country providing significant military/technical support for the U.S. drone program has permitted such a case to be heard. The reality is this: The military base in Ramstein is under the legal jurisdiction of the Federal Government of Germany, even though the U.S. Air Force has been allowed to use the base. If illegal activities such as extrajudicial killings are conducted from Ramstein or other U.S. bases in Germany — and if U.S. authorities do not desist from these legal offenses then we respectfully suggest that you and your government have a duty under international law to act. This is clearly expressed in the Nuremberg Trials Federal Rules Decisions of 1946-47 (6 F.R.D.60), which were adopted into US law. Accordingly, every individual participating in the enactment of a war crime is responsible for that crime, including businessmen, politicians and others who enable the criminal act. Extrajudicial killing — the killing of ‘suspects’ – is in fact also a grievous violation of the U.S. Constitution. And the U.S. initiation and prosecution of killings and wars in sovereign countries that do not threaten the U.S. mainland violate international treaties the U.S. has signed and Congress has ratified, including the United Nations Charter. We hope that major U.S. allies — and particularly Germany, because of the indispensable role it plays — will take firm action to end extrajudicial drone killings. We implore you to take all steps necessary to put a stop to all activities in Germany that support drone warfare and killings by the U.S. government.